Our Families favorite thing to do at Cultus Lake. 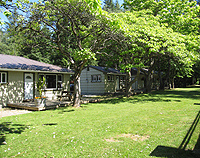 For many years we have taken our kids to Cultus Lake to enjoy the beauty of the outdoors. My parents took me there as a child and now I am passing on the tradition my parents started. We camp and sometimes stay in the cabins, we love to go on the waterslides. After a fun day we go to cafe vanilla for some gellato. Cultus Lake has changed over the years, but it is still the great place I remember as a kid.